Iselin Frydenlund is a postdoctoral fellow in religious studies at MF, Norwegian School of Theology and affiliate to the Peace Research Institute Oslo (PRIO). She holds a Ph.D. in the history of religion from the University of Oslo (2011). She specializes in Buddhism, politics, and violence, working specifically with radical Buddhist groups in Sri Lanka and Myanmar. 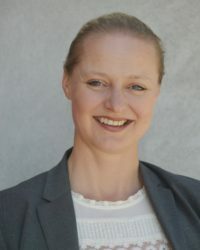 Iselin has been principal investigator for several projects at PRIO concerning Buddhism and violence in South and Southeast Asia, financed by the Norwegian Ministry of Foreign Affairs and NOREF Norwegian Centre for Conflict Resolution. Since 2013, she has been working together with the Buddhist Federation of Norway and monastic organizations in Myanmar, Sri Lanka, and Thailand on religious minority rights in Buddhist majority states. Currently, she is focusing on the rise of Buddhist conspiracy theories about Islam, and “Buddhist Islamophobia.” For this, she is co-editing a book on Buddhist-Muslim relations in South and Southeast Asia (together with Prof. Michael Jerryson). Within the framework of COMPACT, she will look at cross-cultural perspectives on “islamophobia” and the connections between local and global manifestations of this phenomenon. “Buddhist Islamophobia: Actors, Tropes, Contexts.” Brill Handbook of Religion and Conspiracy, edited by Asbjørn Dyrendal, forthcoming. “Religious Liberty for Whom? The Buddhist Politics of Religious Freedom During Myanmar’s Transition to Democracy.” Nordic Journal of Human Rights, vol. 35, no. 1, 2017, pp. 55–73.